World War Three is still raging on. There's some beef going down on Twitter between a bunch of famous teenagers and it's absolutely wild. As you're probably aware, YouTuber and MUA James Charles is not a fan of the highest grossing horror movie of all time, IT. 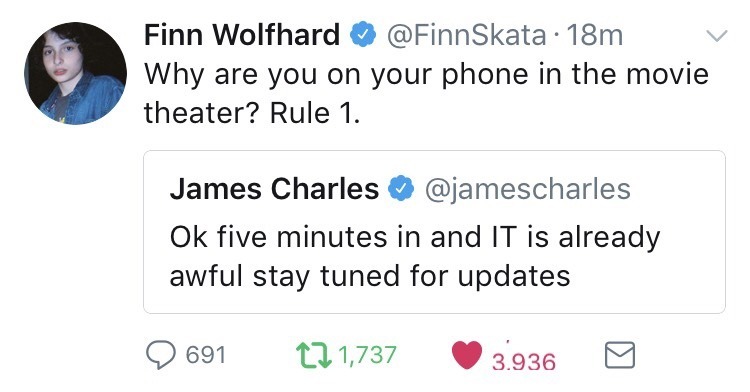 After tweeting about his dislike for the film while sitting in the cinema, he was catastrophically dragged by actor Finn Wolfhard for being on his phone in a movie theatre. James later apologised to the fans of the movie but stuck by his critique of the film, which he had every right to do. But the fans, and the actors who worked so hard to make the film iconic, have obviously not forgotten about his remarks. Flash forward to two months later where James, who still hates the movie, announces on Twitter that he will be doing a Pennywise makeup tutorial. 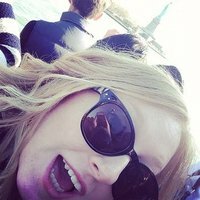 That was never going end well, was it? The feud was then reignited on October 9th when Wyatt Oleff (Stanley) took to Twitter to express his savage thoughts behind James Charles' new 'Pennywise' makeup tutorial. 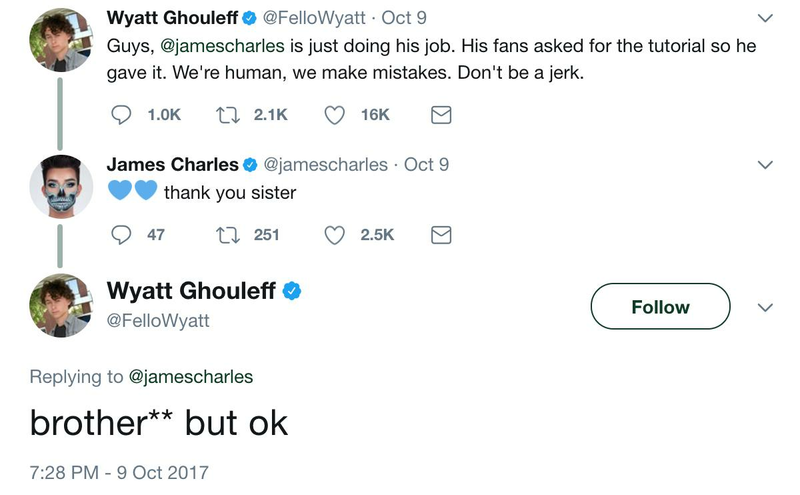 As James' request, he later asked his fans to stop attacking the MUA over the tutorial, to which James replied "thank you sister." (James calls all his followers 'sister', it's his thing.) Wyatt didn't seem to understand the reference. After James replied AGAIN, Nicholas Hamilton (Henry, the movie bully) then piped up and joined the beef. Oh and if you thought Finn Wolfhard was sitting this round out, you thought wrong. He was out here liking Wyatt's tweets too. And THEN, in the plot twist to end all plot twists, Bill Skarsgård's younger brother Valter joined the thread of tweets, posting two sassy gifs alongside the comment "I'm staying out of this one. I'm just here for the ride."